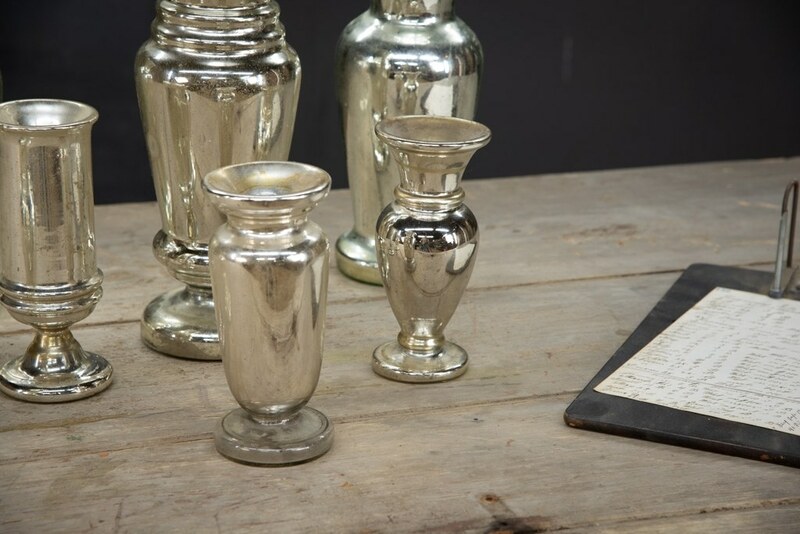 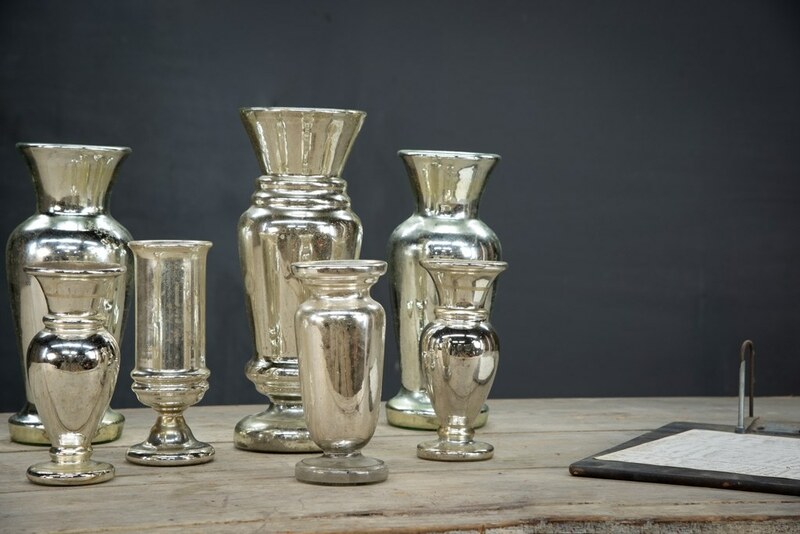 USA, 1920s, Vintage Early Mercury Glass Vessel Collection. 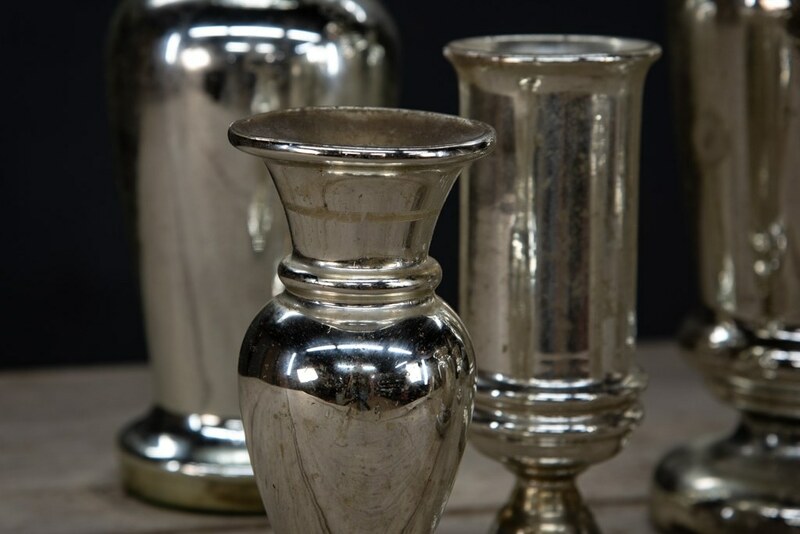 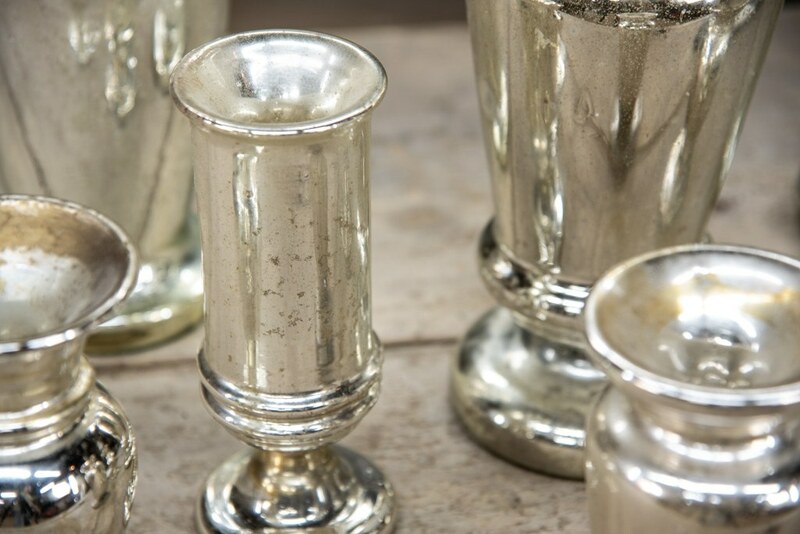 Old Silvered Mercury Glass with Beautiful Foxing Patina. 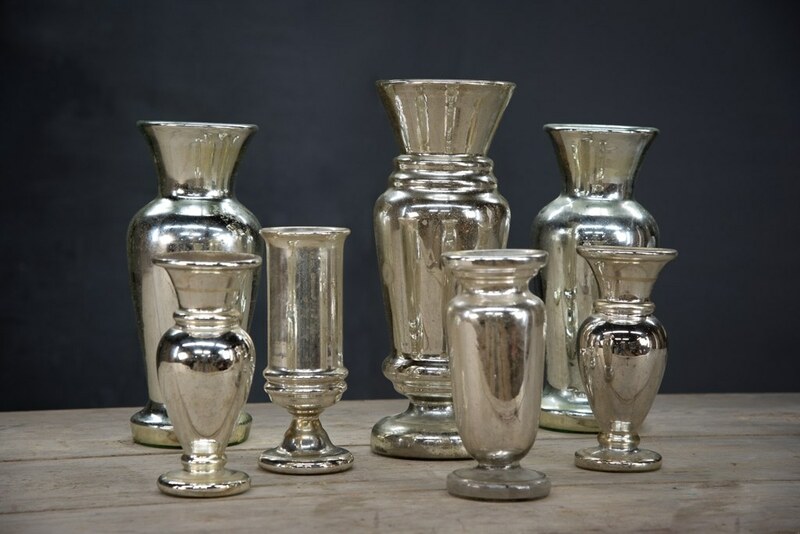 Collection of 7 Vessels.